Last month the East Village Association learned that Ald. Proco Joe Moreno introduced and the City Council passed legislation lifting a longstanding packaged liquor moratorium on Ashland Avenue, from Division Street to Blackhawk Street. The sole purpose of this legislation was to grant a liquor license to the national retailer CVS Pharmacy. This single-purpose legislation was introduced and passed without the input of the community, and calls into question Ald. Moreno’s commitment to transparency and local business. The East Village Association, the Wicker Park Bucktown Chamber of Commerce and Near North Montessori School all opposed lifting the moratorium. The Wicker Park Committee requested that no action be taken until CVS made a presentation, which never happened. All of these groups have been working for years to improve the Polish Triangle, and all are concerned that liquor sales will set back their efforts to improve the Division-Ashland-Milwaukee intersection. Ald. Moreno simply could have told these community groups that he planned to lift the moratorium and grant the license with concessions. Instead, the legislation was introduced and passed without addressing community concerns. Members of the community learned of this decision after the legislation had passed, We found out by walking past CVS and seeing a beer and wine "Coming soon!" sign. This decision has multiple consequences. First, because Ald. Moreno introduced and the City Council passed this legislation, multiple locations on Ashland Avenue are now available to sell package liquor. This may exacerbate ongoing issues that relate to liquor sales. The Polish Triangle has had lasting problems with vagrancy, public consumption of alcohol and public intoxication. The problem was so bad that Ald. Moreno just this past year ordered the benches removed from the Polish Triangle. This type of activity impacts both the 13th and 14th police districts. We do not need to create new crime problems or exacerbate an existing problem. In addition, by lifting the moratorium and granting CVS a liquor license Ald. Moreno will discourage the development of local business. CVS has more than 7,000 locations around the country and can be a formidable competitor, in the same way Wal-Mart is formidable. This legislation creates a new hurdle to attracting a responsible, independent wine shop to the area. The East Village Association last year attempted to accommodate just such a locally owned liquor store. EVA explored modifying an existing package liquor moratorium in the empty Washington Mutual space at 1555 W. Division. When the local family that proposed the wine shop learned that CVS was seeking a liquor license, they withdrew the plan. They said would be undercut on price and driven out of business. EVA tried to reassure the family that a different moratorium in place across the street would keep the gargantuan retailer from getting a liquor license. They obviously had a better handle on the situation, and did not waste time, energy and money in an venture the alderman would undermine. Ald. Moreno has now cemented a national liquor retailer in our community that will effectively exclude a locally owned, locally responsive business. EVA simply does not understand this decision based upon Ald. Moreno’s previous stances against making zoning changes to accommodate national retailers. This decision is all the more troubling because Division Street and Wicker Park have gained a national recognition as a shopping destination anchored by locally owned and operated businesses. Ald. Moreno states that “CVS agreed to some restrictions on the type and packaging of beer and liquor that would be sold, and since CVS is a well-regarded corporation,” operating in multiple locations in his ward, he supported the single-purpose legislation. Not so fast. Do you know who you are dealing with? Another unit of CVS Caremark Corp., sued by the Illinois Attorney General and 27 other attorneys general, in 2008 settled a deceptive practices case for $38.5 million arising out of its marketing of prescription drugs. Just two years later in October 2010, CVS agreed to pay $75 million and forfeit $2.6 million in profits from the sale of products containing pseudophedrine, which is used to make methamphetimine. At the time it was the largest civil penalty paid under the Controlled Substances Act. 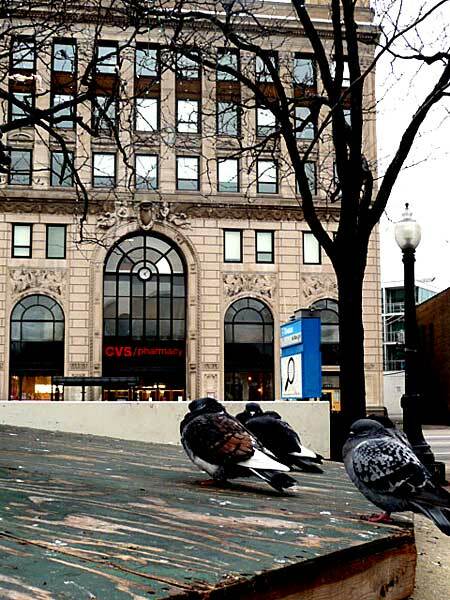 CVS admitted that stores did not monitor excessive purchases, and the U.S. Attorney stated that CVS failed to follow its ethical and legal responsibilities. If CVS has difficulty curbing the sale of nasal decongestant, what steps would it take to control the sale of liquor? Ald. Moreno did not take the time to confer with the local community groups on these issues. Based upon CVS's record and the location of this store, the community at least should have been given the chance to weigh in on control issues. What restrictions did Moreno pursue? How was any agreement documented? How will it be enforced? We still do not know. These questions should have been vetted by the community before the moratorium was lifted. Decisions have consequences that are not immediately obvious. Community input helps legislators and executives understand the risks. Governing is messy and sometimes disappoints people. In this case, Ald. Moreno's lack of transparency disappointed residents and organizations that are trying to bring lasting, sustainable improvements to the Polish Triangle. Seems like its not that big a deal to me. Many, many other CVS locations sell beer and wine to no ill effect. Its better that the building CVS is in is be occupied by a thriving business rather than sitting vacant and if selling beer helps, that is all to the good. Small businesses are great, but focusing mono-manically on size risks letting the perfect be the enemy of the good. Plus, if one really want to patronize a small, locally owned store, one can always just walk down the street to Rite Liquors. I am sure they would welcome the business. You are arguing false choices. 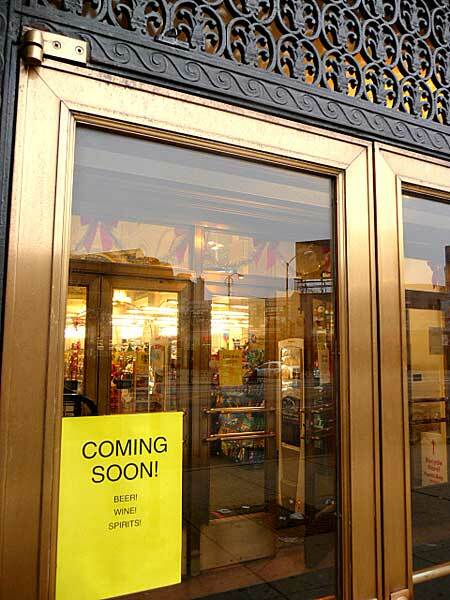 It is not a choice between a vacant building and a CVS with a liquor license. CVS will thrive with or without a liquor license. With a little thoughtfulness the Rite Aid v. CVS wouldn't have to be the only choice. It is also about the process. Do you legislate on your own or do you collaborate? Seems a bit odd for Alderman Moreno to rail against Wal-Mart on one hand and pander to CVS on the other. I agree with you about Alderman Moreno and Wal-Mart. There are not many meaningful differences between mega discount chains. My problem with Wal-Mart is the oceanic parking lots that come with the stores and ruin walkable neighborhoods, but the same could be said about Target, Best Buy etc. The Division St. CVS doesn't have a parking lot, which I think is great. I also agree that CVS would do fine without the liquor license, but since more business usually equals more jobs, I think the default should work the other way. The burden ought to be on the side seeking to deny the ability to sell liquor. The attempt to paint CVS as some uniquely irresponsible actor is unconvincing. There are lots of CVS locations all over the city that sell liquor and they don’t cause noticeable problems. If the liquor moratorium is aimed at preventing the congregation of drunken homeless people and the attendant crime and garbage, then I fail to see how one (or two or three) more place selling packaged liquor is going to have much impact when there are like 10 other places to get a drink within 3 blocks. If, instead, the liquor moratorium is some backdoor method of subsidizing small businesses by protecting them from competition, which the example of the wine store seemed to suggest, then why not just argue for directly subsidizing small businesses? That would be more honest and would eliminate the deadweight loss that the moratorium causes. As for process, what did you have in mind? If the Alderman Moreno had had a bunch of community meetings and still approved license, would you be cool with it? CVS will be the only place where you can buy booze directly across from the Polish Triangle where there has been a long standing and sometimes laying vagrancy problem. Even a handful of bad sales will add to the problem across the street. This creates a situation requiring more controls. Just because CVS is bigger doesn't mean that it is better at controlling these problems. To the contrary their recent bad behavior suggests that they have the same difficulty with these issues as any other business. The addition of liquor sales will not create jobs it just means the same sales clerks will now also sell liquor. Despite what you propose the current default is that selling liquor is a privilege not a right. As for a "bunch of community meetings" that would be great but how about just a letter or email to the various community groups he pledged to work with to improve the Triangle a couple of weeks in advance of introducing the legislation. In that situation I would be cool with the process but not the decision. Alderman Moreno has espoused transparency and collaboration and he should follow through. I suspect he didn't share his decision on this issue because this would undermine his cultivated image of a rebel protecting the city against large national retailers. By the way the CVS does have a parking lot, albeit small, in the back. CVS doesn't have a bigger lot because it leases in an architecturally significant building that does not have a large lot. Are you also aware that he approved a zoning change to allow for the opening of a pawn shop on the Triangle? Maybe instead of referring to it as the "Polish Triangle" we should call it "Potterville" or perhaps "Morenoville" would be better. Alderman Moreno has lifted two liquor moratoriums in and around the East Village without conferring with the neighborhood or having a single public meeting in advance. Q. How would you improve the ethical standards of city government? A. I voted for an independent IG and I continue to support this concept. I would like to see the city do what we do in the 1st Ward. Any possible zoning or liquor moratorium change is never done until we’ve had public meetings on the topic. Our citizens need to be heard, especially on municipal issues, because they are so close to home.